NIA CHARLESTOWN NEVIS (March 24, 2017) – Nicole Slack-Liburd, Permanent Secretary in the Ministry of Health on Nevis, says the Nevis Island Administration (NIA) recognizes the urgency of addressing the incidence of Non-Communicable Diseases (NCDs) on the island and has so far embarked on a number of initiatives to deal with the matter. “This exercise will guide our process here in the Federation where we will plan our strategy to address diseases such as diabetes, hypertension and cancers which form our greatest burden of disease in the Federation. 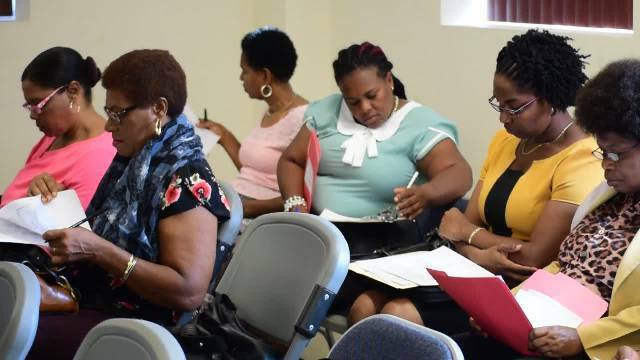 “Recent studies conducted in Nevis have revealed that 17 percent of the population is diabetic and 24 percent hypertensive, that’s the adult population. We also average about 20 new cases of cancer per year. Persons that are overweight and obese in the population exceed 70 percent. The government recognizes the urgency of addressing this issue…” she said. 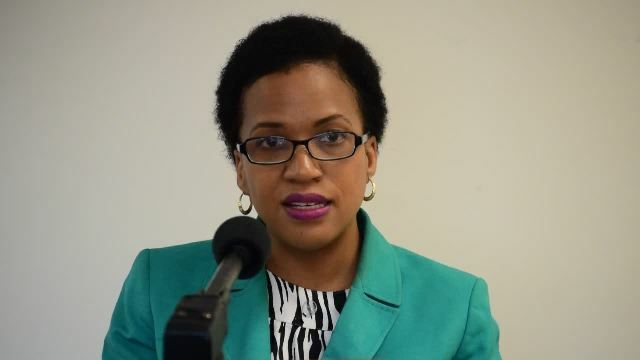 The Health Official noted that St. Kitts and Nevis had given its commitment to implement a number of initiatives to fight against NDCs when it signed the Port of Spain Declaration with other Caribbean Community (CARICOM) member states in the fight against NDCs. They included legislation, mandatory labelling of foods, physical activity in all schools, taxation on alcohol and tobacco products and increased promotion of agriculture through fair trade policies. She said in Nevis there are several successes attained under the existing policy and plan for 2013-2017, which the Ministry of Health is excited build on with its partners. However, there is the need to identify gaps in the programme. She pointed to the difficulties inhibiting behavior change because of culture. Among the gains she pointed to are the school meals programme which has increased the availability of healthy meals to children, through expansion and more healthy meal options. The introduction of hydroponic systems donated by the Rouse Foundation of Atlanta, which complement the work of the Ministry of Agriculture in schools. At the community level, she said the Agriculture Department, through its annual Agriculture Open Day, has increased the promotion of healthy eating. The My Healthy Plate programme and similar initiatives provide education on healthy eating and increased health screening outreach activities which facilitate early detection. Slack-Liburd told the stakeholders, though they have their own ideas on how they should proceed with dealing with the incidence of NDCs their input was important. She urged them to work together so that when the plan is evaluated in 2021 they would be satisfied that their effort made a difference in the reduction of the incidence of diabetes, hypertension and other diseases. Other remarks were made by Dr. Judy Nisbett, Medical Officer of Health on Nevis.